I have Vinyl cut Vehicle signage on my work ute. or see people reading my signs while driving or at the traffic lights. Isee so many plain cars, vans, utes ,trucks and trailers with nothing to show who they are and what they do and contact details. Attract attention and recognition for your Business 24 hours a day. Your vehicle can be low-cost and very effective. Where your driving at the traffic light or parked. Vehicle Signage provides the most affordable means of repeat advertising. Vinyl cut stickers, graphics vehicle signs are very affordable. You will now have a image or Logo that people will remember. and most important contact details for your business. 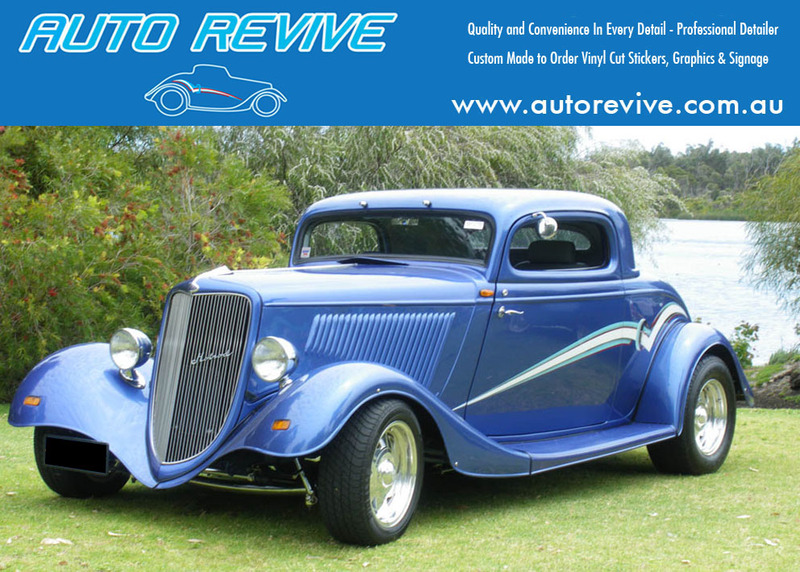 Auto Revive- Specialize in Vinyl Cut Vehicle Signage. ← How can I remove a paint scuff on my car? to use the word, ‘versus’, not, ‘verses’, in your articles on Digital print and vinyl letttering. ‘Versus’ is referring to one thing compared to another. ‘Verses’ is referring to poetry. I hope i can be of service in the near future for car detailing. Thanks for the the positive reply and i fix the versus error.